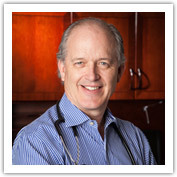 A message from Barry Taylor, M.D. The average physician in Dayton sees around 2,500 patients per year. In the 15 minutes that you spend being rushed in and out of your doctor’s examination room, you’re lucky if he or she remembers your name, much less your medical history. Healthcare facilities are now forced to care more about their profit-and-loss statements than you. This was the inspiration for Executive Medical Centers. As your doctors, here is our promise: We will give you all the time you need. We will be accessible anytime, day or night. We will monitor and track your health when you are well just as we would when you are sick. And, because we’ll never see more than about 400 patients a year, we will give you the best possible highly skilled, highly personalized care. Thank you for your interest in Executive Medical Centers. Dr. Beth Duvall was recently featured on Full Measure, a weekly Sunday news program broadcast to 43 million households in 79 U.S. markets. Host Sharyl Attkisson reported on alternatives to the traditional health care system and Dr. Duvall explained the advantages of our unique EMC business model. Read the full transcript of the interview here. The business model of Executive Medical Centers is garnering attention both locally and around the United States. It was a pleasure to share our story recently with WHIO-TV Channel 7 in Dayton. Read a summary of the news story here. Stop in or call ahead to schedule a time for your flu shot, available now at EMCOhio. The peak season is in the middle of Winter, but cases can show up at any time, especially in those who travel by air. Those at high risk have any major chronic disease or are over 65 years of age. Also at risk are young children, so anyone caring for the young or for those in higher risk groups should consider vaccination as well. We know you. We know your medical history. And we’ll be at your side to help you make the best healthcare decisions. Our personal care extends beyond our office walls. That means that if you’re stuck at home or in the hospital, we’ll be there to help guide your care as only a skilled family physician can. Our Executive Examination is not the standard yearly physical to which you may be accustomed. From cardiovascular and pulmonary testing to a comprehensive health screening and risk report, we not only give you a report on your current health, but also a detailed plan for the year ahead. Executive Medical Centers of Ohio have limited the size of our practice. We make house calls. We coordinate care with other specialists. We stand ready at a moment’s notice to answer your questions and listen to your concerns. And we do this to provide a premium service for our valued patients. Site developed by IMX Solutions Inc. and The Ohlmann Group.